* Total number of reviews and star-ratings are based on data collected during the time period Comfort Now by Bob McAllister has been using the ReviewBuzz system and may not directly match the data found on each public review site. Enrique and his assistant arrived on time and were professional, courteous and efficient in installing the piping for my upcoming gas furnace installation (getting rid of the oil burner). I look forward to having Comfort Now complete the installation once SJ Gas runs the new gas line to my home. When my geothermal heat stopped working I called Bob and he had his technician Henry at my house within hours. Henry fixed the issue and the outside temperature of 17 degrees did not matter anymore. Highly recommend. Great job. 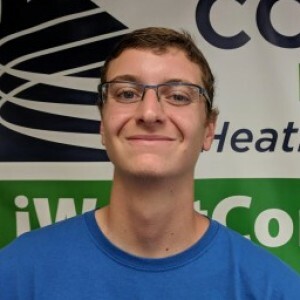 Extremely fast to help for a service call I called and with in an hour I had a tech help me with a down heater at 3 pm on a Tuesday in cold temperature. Got it running and next day got a quote to replace a 20 yr old unit done in a day really very nice to work with. problem with heat, henry arrived, scoped out problem, fixed it, explained all my options. great company, pleasure to deal with. Team was on-time & finished installation right at estimated time. They were polite, efficient & everything was cleaned up when they departed. HVAC units exceed expectations. Very satisfied with Comfort Now. 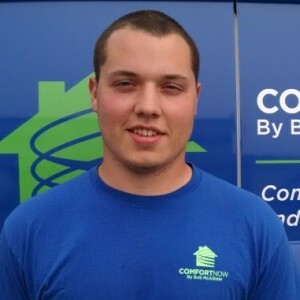 Cole was on time and courteous and very knowledgeable It was a pleasure to have him as our technician. Henry the Service Pro was hear within an hour. The problem was fixed with a new part in 2 hours. Couldn't ask for a more considerate and professional technician to work on our home. Karen was very professional, pleasant and understood the urgency when I called. She responded quickly and Enrique showed up just as scheduled. Enrique was able to trouble shoot the problem efficiently andobtained the equipment needed to resolve the issue in a timely manner. Enrique was very professional, polite and took the time to explain the situation . I was very grateful. You can send Enrique again, anytime. Knowledgeable,, courteous. Just what I would expect from Comfort Now. We had a problem with the gas furnace in our Sicklerville home yesterday and I called Karen at Bob McAllister's office to request an appointment with a technician. He came a few hours later and found out that an expensive part had to be replaced. I got a call from Bob a little later. He presented the cost of the part and the cost of a new furnace and we almost decided to get the new furnace UNTIL I remembered (later last night) to ask Bob to check if the part was covered under the warranty. It was and Bob is sending the team out this afternoon with the part. Bob is a champ...very straightforward and honest. 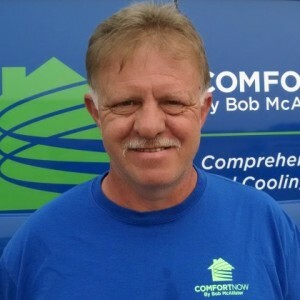 Bob's team installed the ductless heating and air conditioning system in my Ocean City house and they did a perfect job in a timely manner. Cory presented the process and cost accurately. The installers did a great job, and Bob anticipated and responded to all of my questions. Bob and his crew were excellent. Remedied the issue quickly and pleasantly. Number 1 in my book. 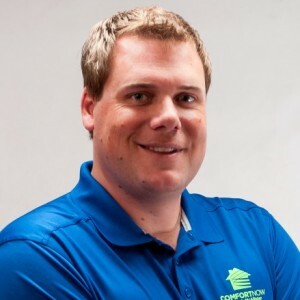 Great service, great company..
We needed to have our HVAC systems replaced in our shore home, not being a local , it is not easy and always concerning that you make the correct choice. I interviewed several contractors and asked acquaintances for referrals on contractors they had used. I made the decision to use the service of Comfort Now, and that was the BEST decision I made. 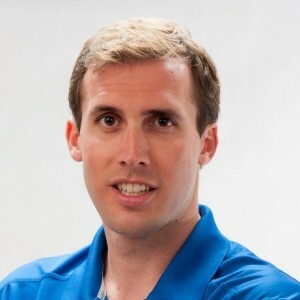 RJ McAllister was terrific, he said what the company would do and delivered on every promise and commitment. Living 150 miles away I have COMFORT NOW that I am in good hands. I would strongly recommend Comfort Now to anyone. 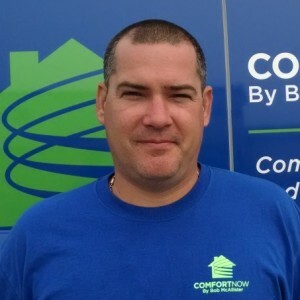 Customer service is always a top priority at Comfort Now by Bob McAllister. Our BBB Membership A rating is like a badge of honor as we continuously strive to provide the best experience for our clients.